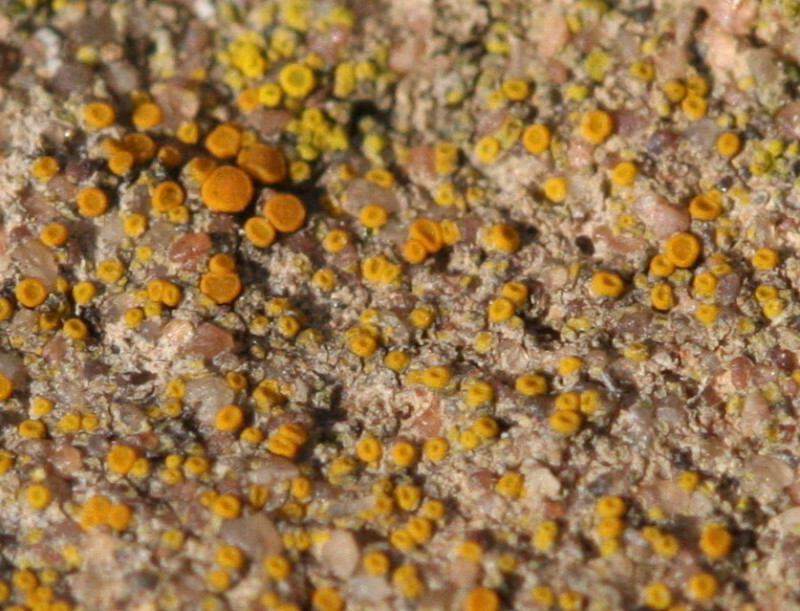 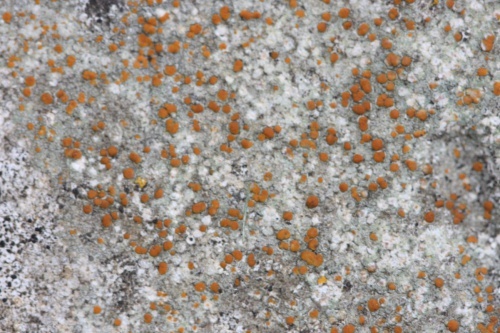 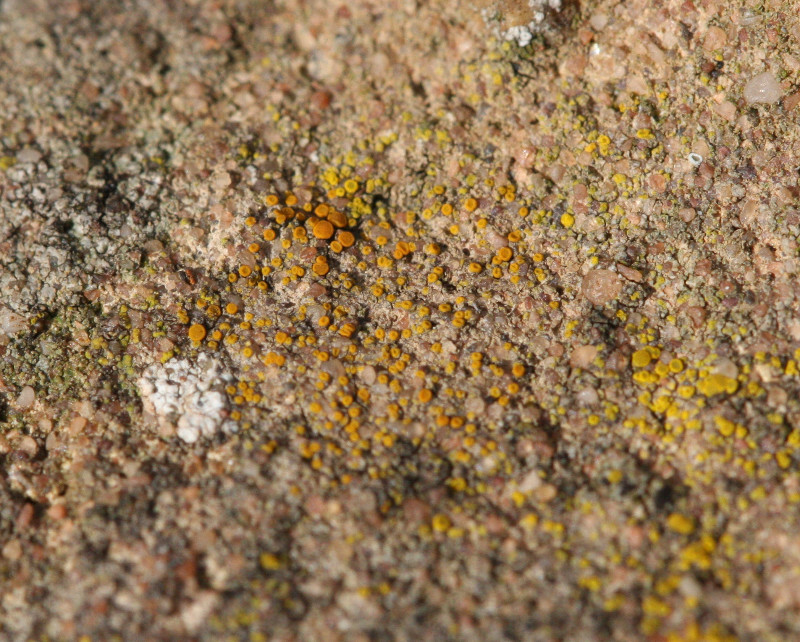 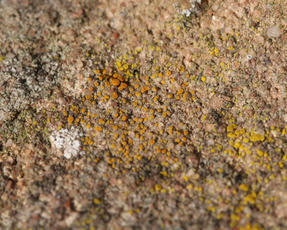 A yellow crust forming lichen usually with abundant apothecia (0.2-0.4mm) which are orange to orange-brown. 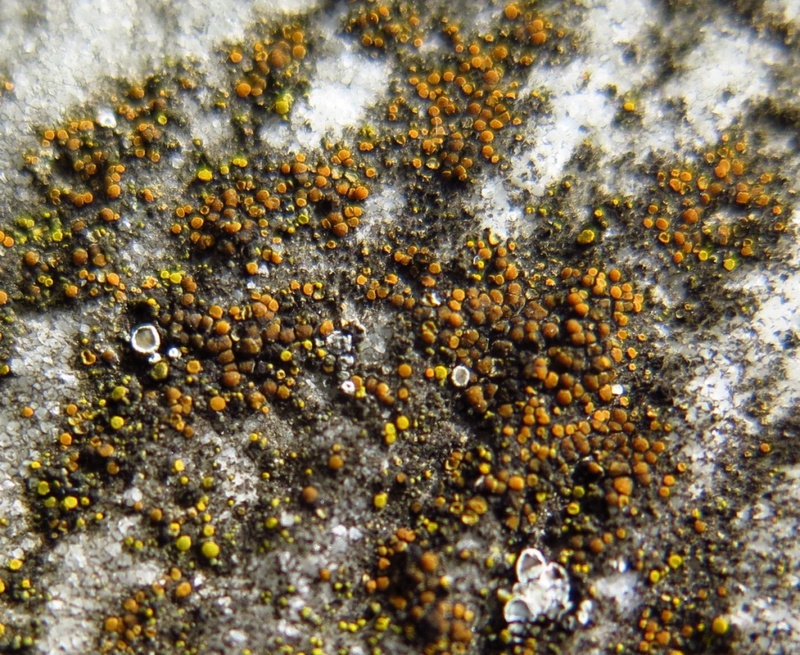 The apothecia are usually more obvious than than the thallus. 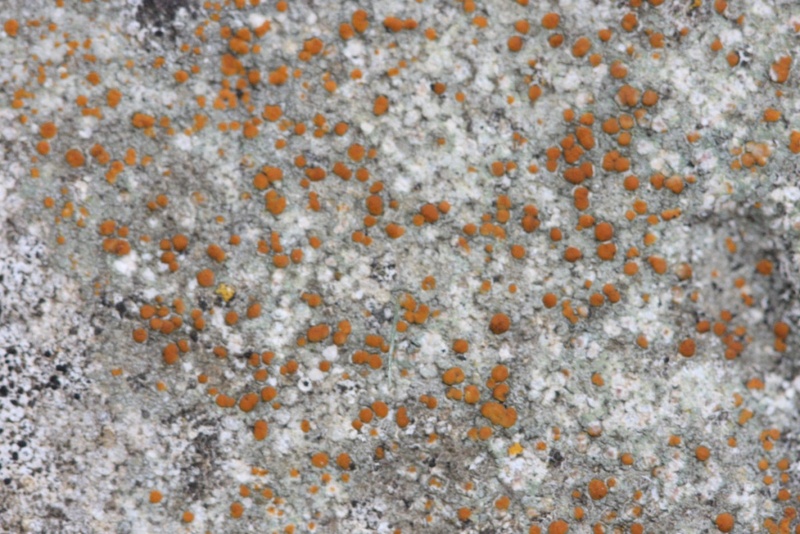 On calcareous substrates: limestone, mortar and concrete. Occasionally found parasitic on Verrucaria species.